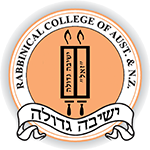 Donate: Passover - Rabbinical College of Australia and N.Z. This online form uses 128 bit SSL encryption, in order to keep your data secure. Please send a receipt to my mailing address, as provided above. Please send a receipt to my email address, as provided above. Please contact me to discuss additional gift opportunities (optional).